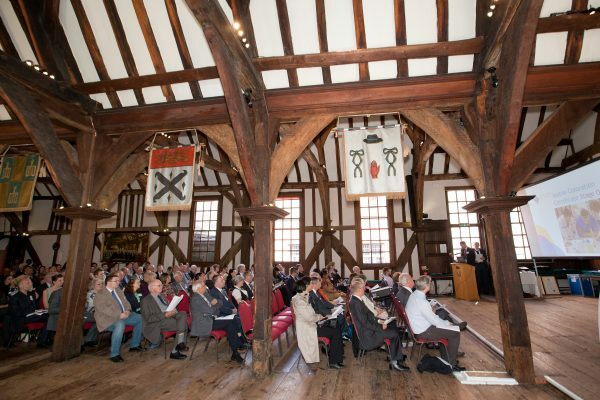 Booking is open for the Day of Celebration 2017 which will take place on Friday 19th May at the Merchant Adventurers’ Hall in York. The day will include the AGM, Awards Ceremony, President’s Reception and Celebration Dinner. Mark Sumner, Lecturer in Sustainability, Retail and Fashion at the University of Leeds and Phil Patterson, Colour Connections, will both give presentations focusing on the circular economy. The cost for attending the evening drinks reception and dinner is £60.00 (£50.00 plus VAT). Please book your place via the online booking form. York’s official visitor information service is Visit York, which has links to accommodation and other information to help in planning your visit. Please note that this is a busy weekend in York so we advise you to book your accommodation as early as possible!